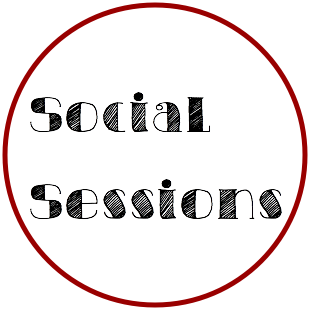 Social Sessions will initiate in two weeks time. And continue for as long as there are takers. I aim to organise these on a fortnightly basis. This is not a sewing thing it’s a hang out with cool people and widen your social circle while having fun thing. You can bring your partner, work friends, interesting people you meet at Uni/gym/activities-essentially anyone that you’d like to spend more time with. You can even invite that cute guy/gal/other that you’ve been dying to ask out (but flubbed ‘cuz ‘date‘ is such a formal word). This is your chance to hang out with them in an informal setting and not have to worry about being at some restaurant trying to eat without getting anything stuck in your teeth and struggling to think of awesome things to impress them with. So where’s this thing we’re going to in two weeks time? When: Friday evenings, 6:00 PM onwards (you’re free to show up earlier/later with your friends, or with a book if you prefer). It’s a good way to relax, unwind and start the weekend-so put it in your reminder app/calender now. The weather’s warming up nicely and it’s time to get out there and meet some cool people already! Disclaimer: All non-self-generated images remain copyright of their original owners and are used here for the purposes of discussion, illustration and humour. Featured image from here. All images linked directly to source.